First the Question: While on earth, Christ was sent ONLY to the children of ISRAEL. True or False? Question: For more than seven years after the death and Resurrection of Christ it was still not lawful for the Twelve to go to Gentiles. To this extent the Twelve were still under the law. True or False? In Acts 5:30-31 we learn that Christ died and was raised to give repentance to Israel. What about the Gentiles? In Galatians 4:4 we learn that Christ was made under the law to redeem them that were under the law. In Acts 11:18 and Acts 14:27, we find these two interesting statements: “When they heard these things they held their peace, and glorified God, saying, Then hath God also to the Gentiles granted repentance unto life.” “And when they were come, and had gathered the church together, they rehearsed all that God had done with them, and how he had opened the door of Faith unto the Gentiles.” Acts 14:27. When was it that God opened a door to the Gentiles by the Apostle Paul? About thirteen years after the death of Christ. When did God open the door to the Gentiles by Peter? About eight years after the death of Christ. It is so important that we carefully note these facts concerning the salva­tion of the first Gentiles. The “far off” people of Acts 2:39 are the “far off” Israelites of Daniel 9. In Acts 10:28 we learn that more than seven years after the death of Christ it was not lawful for the Twelve to go to Gentiles. To this extent the Twelve were still under the law. When they were clearly taught by the Holy Spirit that they were no longer under the law is not known. Acts 21:18-21. Galatians 2:11-14. But let us not for a moment imagine that the Twelve knew the full meaning of Ephesians 2:13-18 until they learned it from the Apostle Paul. When? “Then fourteen years after I went up again to Jerusalem with Barnabas, and took Titus with me also.” “And communicated unto them.” Galatians 2:1-2. First the Question: For more than seven years after the death and Resurrection of Christ it was still not lawful for the Twelve to go to Gentiles. To this extent the Twelve were still under the law. True or False? Question: Before the Law was given at Sinai, there were NO Old Testament saints. True or False? Here we note the universal law of sin and death. Sin and death entered by Adam and, by him, passed upon every member of the human race. Death reigned “from Adam to Moses” “when there is no law.” Note these facts, “from Adam to Moses”; that is, from Adam’s sin until the law was given when Moses was eighty years of age, which was about 1492 B. C. About 2500 years after the offence entered by Adam the law entered by Moses that the offence might abound. Romans 5:20. “The law was given by Moses: Grace and truth came by Jesus Christ.” John 1:17. But when did the reign of Grace begin? Unto the Apostle Paul, the RISEN Christ committed for the Gentiles, “the Dispensation of the Grace of God” and the “unsearchable riches of Christ”. Ephesians 3:1-8. “Moreover the law entered, that the offence might abound. But where sin abounded Grace did much more abound.” Romans 5:20. “Wherefore then serveth the law? It was added because of transgressions, till the Seed should come to whom the promise was made; and it was ordained by angels in the hands of a mediator.” Galatians 3:19. “And He (Christ) came to Nazareth, where He had been brought up: and, as His custom was, He went into the synagogue on the Sabbath day, and stood up for to read.” Luke 4:16. “And Jesus saith unto him, See thou tell no man; but go thy way, shew thyself to the priest, and offer the gift that Moses commanded, for a testimony unto them.” Matthew 8:4. “Then spoke Jesus to the multitude and to His disciples, Saying, The scribes and the Pharisees sit in Moses’ seat: All therefore whatsoever they bid you observe, that observe and do; but do not ye after their works: for they say, and do not.” Matthew 23:1-3. “The Jews answered him, We have a law, and by our law He ought to die, because He made Himself the Son of God.” John 19:7. “Having abolished in His flesh the enmity, even the law of commandments contained in ordinances: for to make in Himself of twain one new man, so making peace. And that He might reconcile both unto God in one Body by the cross, having slain the enmity thereby.” Ephesians 2:15-16. “Blotting out the handwriting of ordinances that was against us, which was contrary to us, and took it out of the way, nailing it to His cross.” Colossians 2:14. “And not as Moses, which put a vail over his face, that the children of Israel could not steadfastly look to the end of that which is abolished.” 2 Cor. 3:13. “For Christ is the end of the law for righteousness to every one that believeth.” Romans 10:4. “Wherefore, my brethren, ye also are become dead to the law by the Body of Christ; that ye should be married to another, even to Him Who is raised from the dead, that we should bring forth fruit unto God.” Romans 7:4. “For sin shall not have dominion over you: for ye are not under the law, but under Grace.” Romans 6:14. “And he (Peter) said unto them, Ye know how that it is an unlawful thing for a man that is a Jew to keep company, or come unto one of another nation: but God hath shewed me that I should not call any man common or unclean.” Acts 10:28. “And unto the Jews I became as a Jew, that I might gain the Jews; to them that are under the law, as under the law, that I might gain them that are under the law.” 1 Corinthians 9:20. Let us first of all, get these facts firmly and clearly fixed in our minds and hearts: “From Adam to Moses”, before the law was given at Sinai, there were NO Old Testament saints; for that which we call the Old Testament or Old Covenant was not entered into by the children of Israel and Ya-Hweh until Moses was eighty years old. This was about 1492 B. C.
Again there was no Old Testament or Old Covenant from Moses to the death of Christ on the cross. There was a Law Covenant, but during those more than 1500 years it was not OLD. “In that He saith, A New Covenant, He hath made the first old. Now that which decayeth and waxeth old is ready to vanish away.” Hebrews 8:13. It was made old by the death of Christ on the cross. “And for this cause He is the Mediator of the New Testament, that by means of death, for the redemption of the transgressions that were under the first testament, they which are called might receive the promise of eternal inheritance.” Hebrews 9:15. The law entered that the offence might abound. The offence entered by Adam. The Law entered by Moses, about 2500 years after the offence entered. The Law was added till…TILL. The “Law Dispensation,” the reign of law, was parenthetical and temporary. The law, or the (Old) Covenant, added at Sinai was taken out of the way at Calvary. However there was an overlapping of the law into some of the program of Acts. The law was added to the Gospel preached by God to Abram in uncircumcision. The law was added 430 years after God preached the Gospel to Abram. Galatians 3:8; Galatians 3:17. Romans 4:9-11. In other words, the covenant (now old) was given by Moses 430 Years after the covenant that God made with Abram. The covenant with Abram and the covenant with Abraham (before and after circumcision) has NOT been abolished. The “Moses Covenant” has been abolished. It was added TILL Abraham’s Seed came. There are prophecies given forth, during the reign of law, which are yet to be fulfilled. But how about Luke 16:16? “The law and the prophets were until John: since that time the kingdom of God is preached, and every man presseth into it.” Does this mean that the proclamation of John the Baptist and Jesus of Nazareth, “the kingdom of heaven is at hand,” closed the “law Dispensation” and ushered in the Dispensation of Grace? There is a world of difference between Grace in a Dispensation and “the Dispensation of Grace”. “But when the fulness of the time was come, God sent forth His Son, made of woman, made under the Law.” Galatians 4:4. “Now I say that Jesus Christ was a minister of the circumcision for the truth of God, to confirm the promises made unto the fathers.” Romans 15:8. “Think not that I am come to destroy the law, or the prophets: I am not come to destroy, but to fulfill.” Matthew 5:17. We have in these verses above, and in many others, the answer to the question. The law was not only until John, but until Calvary and Acts 10:28. Ephesians 2:13-17, 2 Cor. 3:7-17, and Colossians 2:14, tell us just WHEN the Law was taken out of the way. It was: when Christ died on the cross. First the Question: Before the Law was given at Sinai, there were NO Old Testament saints. True or False? Question: It is a serious spiritual crime to offer to saint or sinner a message of Grace and Law...MIXED, which is ANOTHER Gospel. True or False? As we begin this study of the Epistle to the Galatians let us allow the Holy Spirit to teach us the most important truth stated in the conclusion of Romans 3:28, “therefore we conclude that a man is justified by Faith without the deeds of the law”. Again “even as David also de­scribed the blessedness of the man, unto whom God imputeth righteous­ness without works” Romans 4:6. “Religion” might be used as a synonym for “deeds of the law” and “works.” And by this we learn that God, in the act of declaring the believing sinner righteous, is in no way influenced by man’s religious nature or religious activities or religious ceremonies; that is, in this Day of Grace. 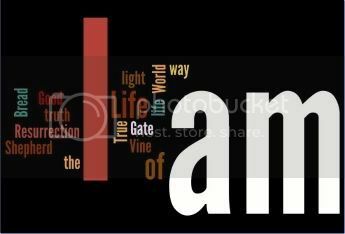 In Romans 3:24, the word translated “freely” is “dorian,” the same word used in John 15:25, con­cerning Christ who was hated “without a cause.” “Being declared right­eous by God’s Grace without a cause through the redemption that is in Christ Jesus.” Romans 3:24. The sinner does not act, but rather, is acted upon by God. “God’s workmanship created in Christ Jesus unto good works.” Ephesians 2:10. How important it is to settle in one’s mind and heart this great fundamental Divine truth the fact that the sinner must be the workman­ship of God before he can be the workman of God. Although it is not possible for the human mind or heart to fully appreciate and comprehend the Grace of God, we scarcely begin this appreciation and comprehension until we are assured, by the Scriptures, that eternal life is the free gift of God. No human being deserves God’s favor. Grace excludes human merit or worthiness. Righteousness, salvation and eternal life cannot be purchased or earned. Boasting is excluded by the law of Faith. Romans 3:27. The good deeds of the best of the human race can play no part in his salvation. This may cause us to ask; “how about Cornelius, whose prayers and alms went up to God as a memorial, whose righteous acts were acknow­ledged and praised by Peter?” Acts 10:2, Acts 10:22, and Acts 10:34-38. In our verse study we are to compare Peter’s message and commission with those of the Apostle Paul. Paul’s message was “not by works of righteousness,” “not according to our works, but according to His own purpose and Grace,” “declared righteous without a cause.” Titus 3:5. Ephesians 2:8-9. 2 Timothy 1:9. Romans 3:24. Let no one think that Paul condoned sin in any way. No one ever presented a higher spiritual standard for the behavior of the sinner saved by Grace. He emphatically declared that God’s infinite abounding Grace, and God’s almighty power were ever available for members of Christ’s Body and were always sufficient for every task, every test and every temptation. Believers were exhorted to abstain from every appear­ance of evil. “Let everyone that nameth the name of Christ depart from iniquity.” 2 Timothy 2:19. However, the Holy Spirit, by Paul, did not present the law as a unit, as the believer’s rule of life. Paul condemned Peter for not walking up­rightly according to the gospel. Galatians 2:10-14. There is a great difference between the law and the gospel. The Apostle Paul used, about eighty times, the expression “in Christ,” or its equivalent. He declared that a believer could not be “in Christ” and at the same time “under the law.” With Christ to mix law with Grace was a spiritual crime, which called for the anathema of God. Such a mixture produced a perverted gospel, which subverted the soul. This is clearly stated in detail in Acts 15. This chap­ter should be carefully studied before entering into the study of Gala­tians. The same heresy is dealt with in both Scriptures. Certainly legal­ists had preached Moses to Gentile converts, and after Paul’s visit and protests there was unanimous agreement among the Apostles. It is recorded in Acts 15:19-24. However, the word “antinomianism” is from “anti” “against”, and “nomus” “the law”. There is a sense in which Romans 6:14 is antinomianism, “For sin shall not have dominion over you: for ye are not under the law, but under Grace.” Read also Hebrews 7:11-12, and Galatians 2:19-21. The Apostle Paul, in his writings, was led by the Spirit of God to teach the believers that which is almost impossible to teach many of them; that is, the difference between good works as a factor in securing salvation and the fruit after salvation without works. There is a great difference between “the law of the Spirit of Life in Christ Jesus” and “the law of Sinai,” which was the ministration of death and condemnation. 2 Cor. 3:7-9, Romans 8:2-11. While we are grateful that the Founding Fathers of these United States of America saw the need to establish a national holiday to thank God for all His benefits, for the BELIEVER in Christ, the Christian, every day should be a day of Thanksgiving. We should lift our heart DAILY in Praise and Thanksgiving to God for every blessing, both spiritual and material, that He has bestowed upon us. Therefore, we at the Lion and Lamb Ministry pray that all of your members and visitors may be especially thankful for "The gift of God, (which), is eternal life through Jesus Christ, our Lord" (Romans 6:23). First the Question: It is a serious spiritual crime to offer to saint or sinner a message of Grace and Law...MIXED, which is ANOTHER Gospel. True or False? Question: After reading Gal. 3:24-25, 2 Cor. 3:7-15, Col. 2:13-16, Heb. 8:9-13, and Gal. 3:19, we learn that the Law Dispensation was both parenthetical and TEMPORARY. True or False? 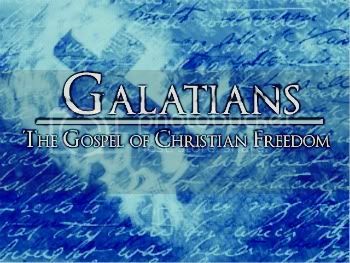 In Galatians 3:8-19 we learn that God added the law (for Israel) to the Gospel which He preached to Abram (Galatians 3:8) until the Seed (Jesus Christ) came and with Him Grace and Truth, and later the reign of Grace and the Dispensation of Grace. Then, after reading Galatians 3:24-25 and 2 Cor. 3:7-15, Colossians 2:13-16, and Hebrews 8:9-13, with Galatians 3:19, we learn that the Law dispensation was both parenthetical and temporary. After reading Jeremiah 31:31-37, Amos 9:11-15, and Acts 3:19-26, Romans 11:25-33, with Ephesians 3:1-3, we should certainly know that God suspended and interrupted His prophesied ‘kingdom’ program, and that we are living in a temporary and parenthetical dispensation of grace; that during this un-prophesied period God is making One New Man, by reconciling believers in One Body by the cross. (Ephesians 2:15-16). In the Gospel of John we find the word JEW about 70 times, the word WORLD about 77 times. We find in John the words, ETERNAL LIFE, more than in any other Book in the Bible. We find that the sinner is told to do one thing in John’s Record, BELIEVE, which word is found 100 times. In John’s Record we do NOT find the word GOSPEL. We do NOT find the word REPENT. We find NOTHING of water baptism unto repentance for the remission of sins. We do NOT find once what the Lord told His messengers to preach. We have Christ’s words in John 6:29 that God’s work for the sinner is to BELIEVE in Christ; and, in John 6:40, this is God’s will. We learn in John 5:24 and John 11:25, that the person who BELIEVES in Christ passes out of death into life; receives eternal life as a gift (John 10:28); and is not condemned. (John 3:18) (John 3:36). We find in John 3:14-15 that sinners, by BELIEVING, are born anew. We find in John’s Record that sinners are dead; and that the great sin is unbelief, rejecting God’s Grace which came by Jesus Christ (John 8:24, John 16:8-9). “As many as received Him to them was given the right to become the sons of God, by regeneration.” (John 1:11-13). Christ, in the Gospel of John, is presented as the “Savior of the World” (John 4:42), Who was not sent by His Father to condemn the world but to save the world (John 3:17), Who said, “I have not come to judge the world, but to save the world” (John 12:47), Who went to the cross, saying, “Now is the judgment of this world, I will draw all men unto Myself” (John 12:30-33). 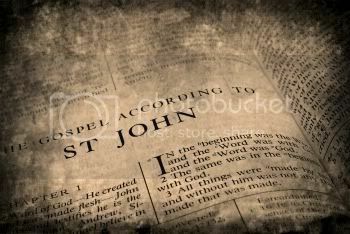 Therefore when we are asked what Gospel is presented in the words printed in John’s Record, we should answer, the Gospel by which the world can be saved. But when we preach John 3:16 we should include John 3:14-15; for salvation is by Christ and His cross. First the Question: After reading Gal. 3:24-25, 2 Cor. 3:7-15, Col. 2:13-16, Heb. 8:9-13, and Gal. 3:19, we learn that the Law Dispensation was both parenthetical and TEMPORARY. True or False? Question: Was the Dispensation of the Mystery (Ephesians 3:2-9), the SECRET of God until AFTER Israel rejected Christ in resurrection. Yes or No? According to Romans 11:7-15, when Israel received not Christ in incarnation and then rejected Him again in resurrection (John 1:11, John 12:37-42, Matthew 21:42, Acts 5:29-32, Acts 13:26-46) God blinded Israel; Israel had a fall; Israel was cast away (albeit temporarily). Because of Israel’s unbelief (Romans 11:30), their blindness and fall, and because God cast Israel away, the Gentiles obtained mercy. Salvation and reconciliation and riches were offered the Gentiles. God ushered in The Dispensation of the Grace of God for Gentiles. (Ephesians 3:1-4). God suspended, or interrupted, His PROPHESIED Kingdom program, postponing it until He accomplishes His eternal purpose concerning His UNPROPHESIED Body of Christ. Perhaps, in reading John 1, we have wondered why we are told that Christ came unto His own and His own received Him not (John 1:11), BEFORE we read, “The Word became flesh and dwelt among us.” (John 1:14). Also it is interesting and significant to read that Christ’s own received Him not and the statement that “the law was given by Moses; but grace and truth came by Jesus Christ” (John 1:17), before John the Baptist said concerning Jesus, “behold, the Lamb of God, Who beareth away the sin of the world.” (John 1:29). Then follows John the Baptist’s explanation of his water baptism for Israel, “I am come baptizing with water, THAT CHRIST SHOULD BE MADE MANIFEST TO ISRAEL.” (John 1:31). Water baptisms were first imposed on Israel at Sinai, with the giving of the law. (Hebrews 9:10). 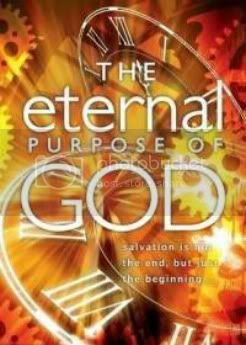 By studying John 1 we shall find interesting and significant statements between the first verses, presenting the Lord Jesus as the Eternal God, Creator of all things, and the Lord Jesus “hereafter” as the Son of Man with God’s angels ascending and descending on Him, as they did on Jacob’s (Israel’s) ladder. There must be a reason why Simon is told by the Lord Jesus, in John 1, that he is to be called “a little stone”, whereas in Matthew’s Record the Lord did not say this unto Simon until Matthew 16:18. It is likewise interesting to note that we reach Matthew 21:42 before the Lord Jesus tells Israel, in Matthew, that He is The Stone rejected by Israel, in fulfillment of Psalm 118:19-25, whereas this we read in the very first part of the first chapter of John. (1:11). Then note in John 11:47-52 the prediction of the high priest that Jesus would give Himself a ransom for Jews and Gentiles. Then in John 12:37-41, we have Israel’s rejection of The Stone explained in detail. In these verses, John 12:37-41, we learn that the rejection is mutual. That God’s wrath will be visited upon Israel; that He will blind their eyes, and harden their hearts. As we have mentioned in our previous message, John 12:37-41, recorded before the death and resurrection of the Lamb of God, takes us back to Isaiah 6:9-10 and to Isaiah 53:1. According to Isaiah 53:3-7, God’s Only Begotten Son was to be despised and rejected, and led as a Lamb to the slaughter. Satan, fallen Principalities and Powers, Judas, Israel, the Gentiles, “the rulers of this world” (1 Corinthians 2:8), all conspired together to kill The Prince of Life (Acts 3:14-15, and Acts 4:24-28). But Christ was delivered by the determinate Counsel and Foreknowledge of God (Acts 2:23). Yes, it was The Lord’s Doing; and it is marvelous in our eyes. (Matthew 21:42). “It must needs be that offences come; but woe to that man by whom the offence cometh.” (Matthew 18:1, and Matthew 26:24). As we read in Acts 4:24-28, that the rulers and kings stood up to do to Christ whatsoever God’s hand and counsel determined before to be done, when He was rejected in incarnation and murdered by His enemies, let us understand, in the light of Ephesians 1:11, that Israel rejected their Messiah IN Resurrection, that God might accomplish His eternal purpose concerning the Church: Which is, and is to be, with Christ, joined together, One Flesh. (Ephesians 5:31-32). It again was the “Lord’s doing” (Romans 11:33-34). Note Ephesians 1:11,“In Whom (Christ) have we (members of His Body) obtained an inheritance, being predestinated according to the purpose of Him who worketh all things after the counsel of His own will.” The Father of Glory truly wants every member of Christ’s Body to know what is the hope of His calling, and what the riches of the glory of His inheritance in the saints is. (Ephesians 1:18). Only those who know this most glorious truth for saints are qualified to obey Ephesians 3:9, “make all see what is The Dispensation of the Mystery, which from the beginning of the world hath been ‘HID IN GOD’.” (Colossians 1:25-26). In Ephesians 1:16-17 we learn HOW to know the truth of the rest of that first chapter of Ephesians. When will Israel’s Messiah say to Israel what He said to Nathaniel, “behold, an Israelite in whom there is no guile”? (John 1:47). When the fullness of the Gentiles be come in. When will redeemed Israel say to Christ, “Thou art the Son of God, Thou art the King of Israel?” (John 1:49). When the Sun of righteousness shall arise with healing in His wings (Malachi 4:2) and shall take away ungodliness from Jacob (Romans 11:26). Why? Because the gifts of God are without repentance. (Romans 11:29). Nathanael means “the gift of God.” Then Israel shall see the angels of God ascending and descending on the Son of Man. The Child of God, who does NOT learn in Acts 5:29-32 and in Acts 13:23-33, and in other Scriptures, that God raised up Christ TWICE to be Israel’s Savior, in incarnation and then in resurrection, AND that Israel TWICE rejected Him before He pronounced His judgment of 1 Thessalonians 2:14-16 and Romans 11:7-11, and see that it was all the LORD’s doing, will NEVER understand The MYSTERY OF CHRIST in Ephesians and Colossians. LLM Question of the Day, and, Are We Close to the End? First the Question: Was the Dispensation of the Mystery (Ephesians 3:2-9), the SECRET of God until AFTER Israel rejected Christ in resurrection. Yes or No? Today let us consider, Are We Close to the End? Recently I have heard more than one person make this remark, “the next two years will tell the tale.” They, of course, were referring to the present economic and financial state of affairs, of the U.S. and the World. Many are expressing the opinion that there will be either a return to prosperity within the next year or two or a world‑wide revolution. Most will admit that the political situation all over the world is anything but satisfactory and the immediate future does not look any too bright. Heads of State, at home, and abroad are warning the public of the present chaos and the approaching crisis, asking men and women to take an inventory of world conditions and to admit that universal, political, economical and social unrest and uncertainty prevail, and that anything more serious and disastrous is liable to happen on short notice. There have been so many wild speculations and so many fanatical religious end of the world movements, so many false prophets who have tried to set dates as to when the end of the world would be, that it is next to impossible to get very many people to seriously consider the more sure word of Prophecy from the Mind of the Infallible God. Suppose we do not believe, (like the atheists, agnostics, or whoever), that Christ is coming and the end is coming, does that affect the truth or alter the fact? NO! We might quote from the Word of God several hun­dred other prophecies concerning the end time, to show that the second coming of The LORD Jesus Christ, the Son of God, is imminent; that His second advent will mean one thing for those who have been redeemed by God’s grace, those who love the Lord Jesus Christ; quite a different thing for the Nation Israel, whom we call the Jews; and still a different thing for the great mass of unsaved Gentiles. Surely such a question suggests that the Son of man, who was then on earth, knew that He was someday coming back to earth, and the Greek verb used by Him in this question indicated that He would NOT find the faith on the earth when He should return as the Son of man to Israel. If the Lord Jesus should come TODAY, He would find more than sixteen million Jews in unbelief. He would find one hundred times as many Gentiles in unbelief. He would find Christendom in the throws of the apostasy from the Faith (1 Timothy 4:1). He would find the teachings and practices of Catholicism so contrary to the pure Christianity He left for the apostles to give to His Church that He would never recognize that religious political organization as His Church. He would find some in that organization saved in spite of the corruption of the Word of God and departure from the Gospel of Grace in the religious program of their system. He would find some loyal, faithful consecrated saints in many different evangelical church organizations. BUT, He would find a far larger number of unsaved people identified with some kind of a religious organization bearing the name of Christ, in the face of the plain and simple statement of the Holy Scriptures, found in Ephesians 4:3-4, that there is ONE Church, one hope, and one faith, even as there is but ONE Christ and ONE Holy Spirit and ONE Father. There is such a variety of different “Christs” and different “faiths” offered to humanity today that we have reached the state of religious Babylon. Modernism has and is continuing to take over seminaries and assemblies which were once strongholds of the Faith, sweeping the deluded religious victims into the great apostasy, for Modernism in the Christian churches is nothing more than Christianized agnosticism, a complete departure from the faith once for all delivered to saints, infidelity propagated in the name of Christ. Surely a Christian infidel is a paradox, and therefore the Christian Modernist is an impossible paradox. Then the cults most active in the propagation of their delusions and heresies are Unitarianism, Jehovah's Witnesses, Seventh Day Adventism, Mormonism, and Christian Science. If any one of these cults represent the true Christ and represent His Church, then the others are preaching a false Christ and misrepresenting the Church of Christ, for Jehovah's Witnesses and Christian Science have nothing in common: neither have Adventism and Unitarianism. Yet all of these religious movements claim to be the true custodians and dispensers of the truth of Christ for this age, each with a key to the Scriptures, teaching and inviting seekers of the truth to enter the House of God by a different door. A house divided against itself cannot stand. All of these religious movements are headed for an awful judgment in the day of God’s wrath which is not far away. Before I continue, let me say this: Children of the Living God, members of The Body of Christ, are right where The LORD Jesus Christ, wants them to be! It is what we CALL “the Church” that is in disarray. Let’s make that distinction clear. When here on earth the Son of God said, “Sir, didst not thou sow good seed in thy field? From whence then hath it tares? An enemy hath done it. The enemy that sowed them is the devil. The harvest is the end of the age.” Matthew 13:27-28, and Matthew 13:39. After The LORD Jesus Christ, calls His Body home to Glory, and before Christ returns to earth as King to set up His kingdom, there is to be an awful apostasy from the Faith heading up in the Antichrist, the man of sin, the son of perdition, whose coming is after the working of Satan, with all power and signs and lying wonders. The man in whom all these religious systems is to head up will be Satan’s man. Those who will not receive the simple and glorious truth of the Grace of Christ, that Jesus Christ, the Son of God, came from heaven, died on the cross of Calvary to redeem lost sinners by His shed blood, then conquered death, and went back to heaven as a man, as the Man who now sits at God’s right hand, must suffer the consequences herein stated, “For this cause God shall send them strong delusion, that they should believe the lie: That they all might be damned who believed not the truth, but had pleasure in unrighteousness.” 2 Thessalonians 2:11-12. “Now the Spirit speaketh expressly, that in the latter times some shall depart from the faith, giving heed to seducing spirits, and doctrines of demons.” 1 Timothy 4:1. 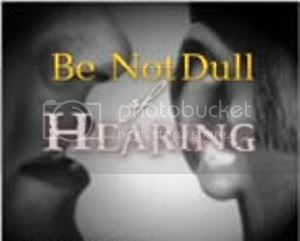 Surely the Lord knew in advance that multitudes would be swept into Spiritism and other “demon” stratagems. Surely the LORD knew in advance that the money was going to be accumulated by the very rich and the poor would have to suffer starvation in the midst of plenty, “Go to now, ye rich men, weep and howl for your miseries that shall come upon you. Your riches are corrupted, and your garments are moth eaten. Your gold and silver is cankered, and the rust of them shall be a witness against you, and shall eat your flesh as it were fire. Ye have heaped treasure together for the last days. Behold, the hire of the laborers who have reaped down your fields, which is of you kept back by fraud, crieth. Ye have lived in pleasure on the earth, ye have nourished your hearts, as in a day of slaughter.” James 5:1-8. “And I will bring distress upon men, that they shall walk like blind men, because they have sinned against the Lord: and their blood shall be poured out as dust, and their flesh as the dung. Neither their silver nor their gold shall be able to deliver them in the day of the Lord’s wrath.” Zephaniah 1:17-18. Never before has the world, both spiritually and materially, been so restless as it is now. The whole of humanity is being crippled by a financial and economic crisis which is leaving no nation, no society, and no family unaffected, either directly or indirectly. Even those few who seem to hold in their hands with untold riches the world’s fate, and who through their own speculations were the cause of so much ill, became the first damaging victims, pulling down with them numberless fortunes. Greed is the root of every ill. From greed proceeds the unjust, unequal distribution of the wealth of nations, accumulated in a few hands with untold sufferings to the masses. Those who do not want anarchy must act energetically to prevent the enemies of religion from achieving their aims. Supplying a PRETEXT for subversive parties to launch propaganda for a drive threatening public order everywhere and increasing the danger of terrorism and anarchy. And behind it all is the unlimited greed for earthly goods which is the real cause for the present difficulties. The prediction of God’s Word is that this accumulation of wealth in the hands of a few is to be a sign of the end time; that this universal unrest and lawlessness is to run concurrently with the great departure from the Faith. And here is God’s message to His child, “Be ye also patient; stablish your hearts: for the coming of the Lord draweth nigh.” James 5:8. Look where you will today for any source of relief, but unless you look to the coming of The LORD Jesus Christ, you will look in vain. So we may know, that until He comes, evil seducers will wax worse and worse. So stop being shocked. There IS to be a reign of peace and righteousness on this earth. When? When He comes whose right it is. He will rule this earth with a rod of iron. Those who are redeemed by His blood will rule and reign with Him. 1 Corinthians 6:2, Revelation 5:9-10, and Revelation 20:3-7. The LORD Jesus Christ, is coming FIRST to call His saved ones, His Body, home to glory. THEN there will be a great time of sorrow in several years of scourging and judgment. Then the Lord will come with His saints to dethrone the great Adversary, that old dragon, Satan, the devil who has deceived the whole world. Then will come the time of earth’s blessing with the personal reign of the true King. The hope of this world is not a great republic, or democracy, but a Great Theocracy. In the meantime whosoever will can be made a member of the Body of Christ, by the Gospel of God’s Grace through the Faith in the finished work of this wonderful Christ, who is now the living God‑man in glory. Would you like to be in Christ, a Child of the Living God, a member of the Body of Christ? Would you like to be saved from the coming time of great sorrow and after death judgment? Salvation is available for you. It is a very simple, plain, way: Christ died for you. His judgment was for you. He was delivered for our offenses and raised for our Justification. Salvation is by God’s Grace, through the Faith in this crucified, resurrected, glorified, and coming LORD Jesus Christ. Act now. Believe and be eternally saved. Question: The Apostle Paul never referred to the LORD Jesus either as the Son of Man, or as Jesus of Nazareth, in writing or speaking to Gentiles. True or False? Note John 6:62, John 8:28, and John 3:13, “What and if ye shall see the Son of Man ascend up where He was before?” “When ye have lifted up the Son of Man, then, shall ye know that I AM” “And no man hath ascended up to heaven, but He that came down from heaven, the Son of Man Who is in heaven.” In Revelation 1:13 we read that the Apostle John, on the Isle of Patmos, saw One like unto the Son of Man standing in the midst of seven assemblies (symbolized). 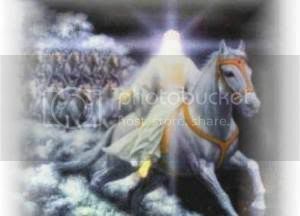 Then in Revelation 4-5 John saw into the open heavens more than the Son of Man and angels or holy ones. Now, of course, we would like to know all that the Apostle Paul saw when He was caught away to the third heavens, caught away into Paradise and heard unspeakable words, which it is not lawful for a man to utter. (2 Cor. 12:1-6). 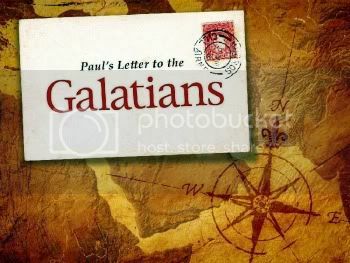 Paul testified in Galatians 1:11-12 and Ephesians 3:1-3 that he received his ‘Grace’ Gospel by direct revelation and his knowledge of the Mystery of Christ concerning the Dispensation of the Grace of God for Gentiles by direct revelation. Paul, by a special direct revelation from the RISEN Christ, visited the other Apostles at Jerusalem. (Galatians 2:1-2). When Stephen said to Israel, “behold, I see the heavens opened, and the Son of Man standing on the right hand of God” (Acts 7:56), that is the first time, so far as the New Testament is concerned, that any person other than Christ Himself used the title “The Son of Man.” The one exception is the question of the Jews in John 12:34, “Who is this Son of Man?” This title is found in Matthew 32 times; in Mark, 15 times; in Luke, 26 times; in John, 12 times. The total 85 times. In speaking of Himself as ‘The Son of Man’, the Lord Jesus declared that He had power on earth to forgive sins and that He was Lord of the Sabbath day. (Luke 5:24, and Luke 6:5). Keep in mind one reason why God will save Israel. “For Abraham’s sake, for Isaac’s sake, for Jacob’s sake; for the fathers’ sake.” (Romans 11:28). But according to Ezekiel 36:21-22 and Ezekiel 36:31-32, the Lord God will save Israel for the Lord God’s sake. It is impossible for God to lie. (Hebrews 6:18). God confirmed His covenant of promise with an oath. (Hebrews 6:17). And God will save Israel, because His gift is without repentance. (Romans 11:29). Christ said to Nathanael (the gift of God), “I saw thee under the fig tree.” (John 1:50). Before the Lord sees His kingdom nation under their own vine and fig tree, He will see them in the time of Jacob’s trouble; but Jacob shall be saved out of it. (Jeremiah 30:7-9, Jeremiah 30:18). Since the day that Christ came unto His own and His own received Him not (John 1:11), since the day “the children of the kingdom” were cast into darkness (Matthew 8:12), since the day Israel said concerning Christ, “we will not have This Man to reign over us (Luke 19:14),” we have been living in “the times of the Gentiles,” politically and spiritually. Israel will be saved when “the times of the Gentiles be fulfilled” (Luke 21:24), when “the fullness of the Gentiles be COME IN.” (Romans 11:25). First the Question: The Apostle Paul never referred to the LORD Jesus either as the Son of Man, or as Jesus of Nazareth, in writing or speaking to Gentiles. True or False? Uzziah died in 739 BC just about six years before his son, Jotham, also died, and his grandson, Ahaz, became king. In 732 BC Tiglath-Pileser III of Assyria invaded northern Israel and took captives; ten years later, the Assyrians took the entire northern kingdom of Israel into captivity under the leadership of Sennacherib, king of Assyria, who also came against Judah’s king Hezekiah, who was the son of Ahaz. Ahaz appealed to Assyria for help when he was being attacked by the northern kingdom of Israel under king Pekah, and by the Syrians under Rezin, and by the Edomites and Philistines. The Lord wants Isaiah the prophet to tell Ahaz not to be afraid of Syria and Israel for in 65 years (according to Isaiah 7:1-9) the northern kingdom will be completely broken and no longer be an identifiable people. This happened exactly as predicted under the resettlement project of Ashurbanipal of Assyria. When king Uzziah died, his son Jotham would reign for only six more years, and his grandson, Ahaz, was only 14 years old at his death. Isaiah was just beginning his ministry. 1) REFLECT ON THE TRAGEDY OF SIN!...“In the year that king Uzziah died…” look at 2 Chronicles 26:16-21, as well. 5) RESPOND TO GOD’S CALL! Isaiah 6:8-10, and then Daniel 10:10-19. The REQUEST comes from the triune God, “who will go for US?" Compare to Genesis 1:26; and Genesis 11:7; “the voice of the Lord”, (Hebrew – Adonai). The RECOGNITION of the prophet is crucial, “Here am I; send me”, “Behold, me…”. God wants to use us more than we want to be used! He also uses clean vessels! The RESPONSIBILITY is to God...“Go, and tell this people”. The RESULTS are known and controlled by God Himself. Our job is to be Faithful! Question: Nothing of the return of the Son of Man to save Israel out of the Great Tribulation is mentioned in the Gospel of John. True or False? The word ‘coming’ in 1 John 2:28 is the Greek ‘parousia’. The word ‘appear’ in 1 John 3:2 is ‘phaneroo’. In Matthew, Mark, and Luke, we learn that Israel and the rest of humanity will be plunged into a time of distress and sorrow, called “The Great Tribulation”; that the LORD Jesus, as the Son of Man, will come and saved His ‘Kingdom’ nation out of that Great Tribulation which will be shortened for the LORD’s elect’s sake. (Matthew 24:21-22). According to Luke 21:27-33, the Son of Man will save Israel. According to Luke 14:14, the LORD’s disciples will be recompensed at the resurrection of the just. As we learned that nothing of the thirteen or fourteen ‘Kingdom’ parables of Matthew are mentioned in John’s Record, likewise nothing of the return of the Son of Man to save Israel out of The Great Tribulation is mentioned in John’s Record. In Matthew, Mark, Luke, John, Acts, in James, in Peter’s two Epistles, in Jude, in John’s First Epistle, in Revelation and in at least ten of Paul’s fourteen Epistles, we learn that the LORD Jesus is going to appear the second time APART from sin unto salvation. (Hebrews 9:28). Those that are Christ’s shall be made alive at His coming. (1 Corinthians 15:22-23). In 2 Thessalonians 1:7-10 we learn that the LORD Jesus will come in awful judgment, “when He shall have come to be admired in all that believe.” (2 Thessalonians 1:10). Then He will come to this earth as the Son of Man. (Luke 18:18). Many, many times the Apostle Paul mentions the coming, or the appearing of the LORD Jesus Christ, stating that Christ’s appearing in glory for the Church, Which is His Body, is the blessed hope of members of that Body. (Titus 2:13, Philippians 3:20-21, Colossians 3:4). But Paul never calls the LORD Jesus, “the Son of Man,” in His relation to the Church, Which is His Body, the Body of Christ. The Apostle John, in John 1:50-51, records Christ’s words to Nathaniel (meaning ‘the gift of God’), “Thou shalt see greater things than these, Verily, verily, I say unto you, hereafter ye shall see heaven open, and the angels of God ascending and descending upon the Son of Man.” When we read John 6:62, John 8:28, and especially John 3:13, we do not wonder that the bewildered, perplexed Jews asked the question: WHO IS THIS SON OF MAN? (John 12:34). *A series of appendices to this series of messages on the Gospel of John is to follow. First the Question: Nothing of the return of the Son of Man to save Israel out of the Great Tribulation is mentioned in the Gospel of John. True or False? Question: The word GOSPEL is not found even once in the twenty one chapters of the Gospel of John. True or False? ACCORDING TO JOHN’S RECORD WHAT GOSPEL DID CHRIST AND JOHN PREACH? The word GOSPEL is not found once in the twenty one chapters of John’s Record. We have also observed that in the twenty one chapters of John, (aside from the statement in John 3:22 and John 4:1-2 that the disciples were with Christ baptizing), we have very, very, little information in John’s Record as to the preaching ministry of the twelve apostles, who, by the way, are not called “apostles” in John. In Luke 9:1-6 and Matthew 10:5-8 we learn that the twelve were instructed to preach The Gospel of the Kingdom and perform miracles, or permit the LORD to perform miracles by them. We learn in Matthew 4:23 and Matthew 9:35 that Jesus Christ was carrying on the same ministry which He instructed and empowered the twelve to carry on; the ministry which is explained in Acts 2:22, that Jesus of Nazareth was in the midst of Israel, a Man approved of God by wonders and signs. In Matthew 4:23 and Matthew 9:35 we learn that Christ on earth, (a Minister of the circumcision with a program in fulfillment of Old Testament prophecy. 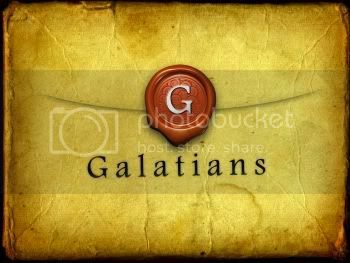 Romans 15:8, Galatians 4:4), was preaching The Gospel of the Kingdom. In 1 Corinthians 15:1-4 we have the Gospel of Salvation for this present Age and Dispensation stated very definitely in such plain language that any rational adult should understand it with one reading; namely, the truth that, in fulfillment of prophecy, the Lord of Glory, Christ, died for our sins, and was buried and rose the third day. What do we read about this gospel in these four verses? The Apostle Paul received it from the LORD. It is the Gospel by which believers are saved. Some months after the twelve Apostles preached the gospel and healed (Luke 9:6), “healing the sick, cleansing the lepers, raising the dead, casting out demons” (Matthew 10:7-8), Christ told them that He was going to experience the events of 1 Corinthians 15:1-4 which would provide the saving gospel for sinners. Read what the Apostles did, according to Luke 18:31-35, when the LOR Jesus told them He was going to be rejected, delivered to the Gentiles, be put to death, and the third day rise again, “they understood none of these things, and this saying was hid from them; neither knew they the things which were spoken.” As you compare Luke 18.31-34 with 1 Corinthians 15:1-4, keep in mind that the twelve apostles had preached the gospel and performed miracles of healing MONTHS before Christ told them of His coming death and resurrection. Certainly any minister of Christ, who teaches, after reading these several Scriptures, that there is only one gospel in the New Testament Scriptures, and who does not know the difference between The Gospel of the Kingdom and The Gospel of the Grace of God (Acts 20:24, Ephesians 3:1-3), is certainly NOT a faithful steward of The Mysteries of God (! Corinthians 4:1-4), but is rather a workman who needeth to be ashamed because he does not RIGHTLY divide the Word of Truth. ( 2 Timothy 2:15). We mentioned the fact that there are 741 verses in the first seventeen chapters of John, up to the time that Christ was betrayed by Judas with a kiss, and that in more than 700 of the 741 verses facts are recorded not found in Matthew, Mark, and Luke, in all of the 2900 verses in these three Records. Of the seventeen chapters of John there are thirteen solid chapters of facts not recorded in the other three Books. In all of the chapters in Matthew, Mark, and Luke, up to the time of the betrayal of Christ, more than ninety five percent of the facts contained in them are not recorded in John’s Gospel. In John nothing of the birth of Jesus, nothing of the wise men, or the shepherds keeping their flock, nothing of the flight to Egypt, nothing of the murder of the infants around Bethlehem, nothing stating that John’s baptism was for the remission of sins, nothing of Satan’s temptation of Christ, nothing of the call of the four fishermen while mending and cleaning their nets, nothing of the call of Levi (Matthew) the publican and the feast which he made for the Savior and other publicans, nothing of the beatitudes, the sermon on the mount, the golden rule, The Our Father (Kingdom) prayer. There is nothing in John of the thirteen or fourteen (kingdom) parables in Matthew. As we related, the word Kingdom is found 55 times in 55 verses in Matthew, whereas the word Kingdom is found in only three verses in John. Namely, John 3:3, John 3:5 and John 18:36. In John’s Gospel is presented a phase of the Kingdom different in many respects from the Kingdom presented in Matthew, Mark, and Luke. In Matthew alone, as we said, the children of the kingdom (Matthew 8:12), are instructed to obey many things which belonged to God’s Old Testament program, about 56 such orders. 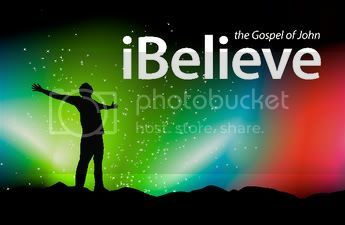 In John the one thing the unbelieving children of the kingdom are told to do, is BELIEVE. Read the first seventeen chapters of John and learn all that the Lord Jesus told his believing disciples to do. As the all important work of the unbelievers was to believe, so the all important work for the believers to do, was to keep the LORD’s Love commandment and wash one another’s feet. We repeat that we cannot find in these seventeen chapters of the Gospel of John, what gospel the twelve apostles preached, or what they were instructed to preach. We do not find that they performed any miracles, or that they were told to do so, although we read in John 14:12, greater works shall the believer do, because Christ was going to His Father. According to the documentary evidence, John’s Record of the life and ministry, sayings and doings, the death and resurrection of the LORD Jesus Christ, in which Record we do NOT find the word GOSPEL, we must decide that if Christ was preaching the Gospel of the Kingdom, that Gospel was likewise the Gospel of Grace. According to John 3:17-18 those who BELIEVED in Christ were not condemned. According to John 3:14-16 those who BELIEVED in Christ received eternal life. 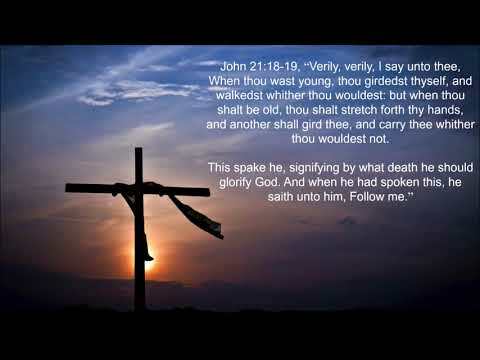 According to John 5:24 those who BELIEVED in God’s Word and God’s Son passed out of death into life. According to John 1:12-13 those who BELIEVED in Christ and RECEIVED Him as Savior became the regenerated sons of God. According to John 6:29 and John 6:40 those who BELIEVED in Christ did the will of God and the work of God. According to John 1:16 those who BELIEVED in Christ received of His fullness, and Grace upon Grace. According to John 3:18 UN-believers were condemned because they did NOT believe in Christ: upon such the wrath of God abideth forever (John 3:36); and they shall die in their sins. (John 8:24).